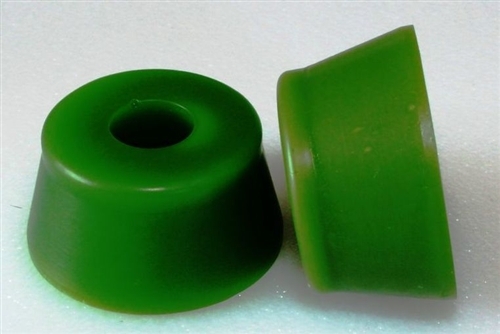 Offer the lowest resistance and stability of the shapes addressed here and can allow your trucks to easily achieve their full lean and turn. FatCones have the same initial stability as a Barrel but as you lean, they offer progressively higher resistance the further you go. 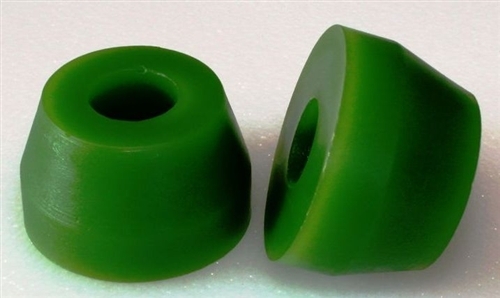 Chubbys offer the highest stability of all the shapes discussed here and work best in a truck that has a stepped bushing seat to take advantage of the secondary step in the bushing, the vertical side wall and the large backside of the Chubby. They still turn very well and can be used in a softer duro if you are looking for a stable yet plush and comfortable setup. 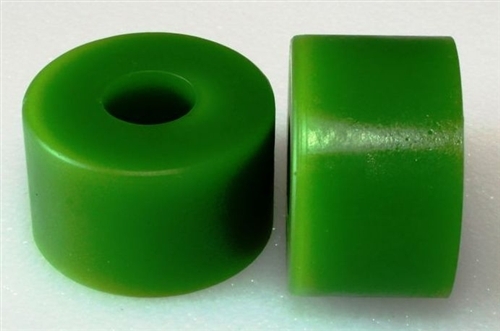 The Chubby is one of our most versatile bushings because of its size, shape and wide variety of applications. The Cone / Cone setup is for those looking for a very carvy or surfy feel. With this choice, the further you lean, the less resistance there is. The Cone / Barrel setup is for those looking for a carvy or surfy feel but with a bit more stability. With this choice the resistance is constant throughout the range of motion. Need more info? 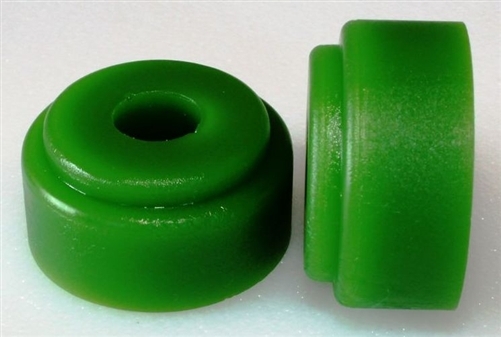 Check out our Weight Application Charts, Truck Application Charts or email us tracey@riptidesports.com - we're super friendly folks who enjoy helping you choose the bushings combo that is just right for you.